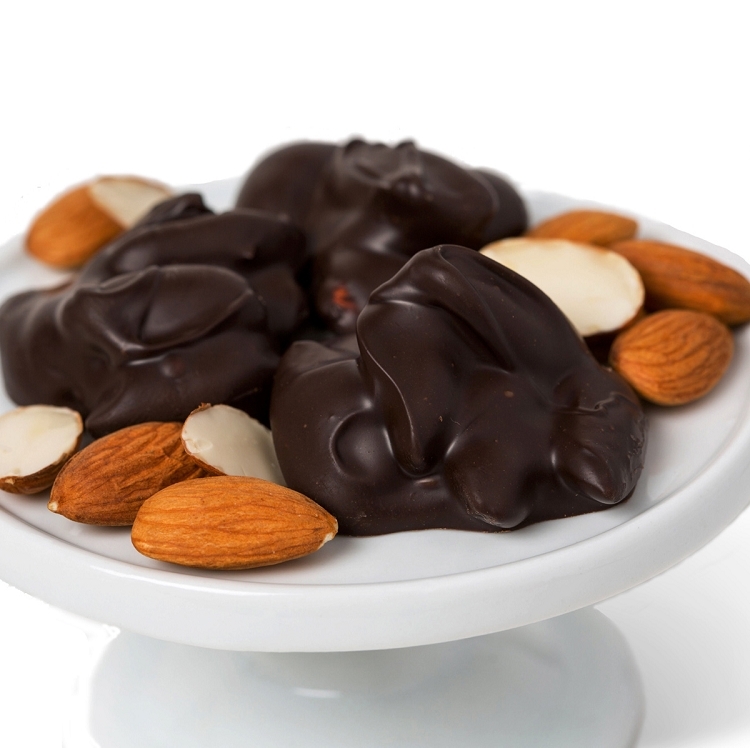 Fresh roasted almonds smothered with our gourmet milk or dark chocolate. Available in a 6oz. Snack Bag or a One Pound Gift Box. The BEST dark chocolate almond clusters!!!! David Bradley makes the most delicious dark chocolate covered almonds. They are far better then any you have ever eaten. I have been browsing the seconds bags for chocolate almonds since David and Bradley's parents ran the shop in the retail center at Rts 571and 130 (about 30 years ago). And sometimes I buy first quality. 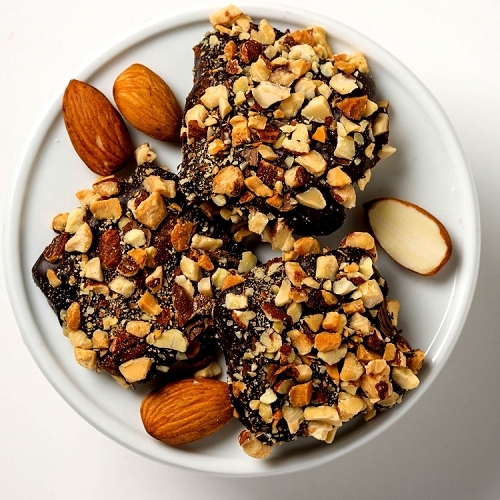 In either case, the dark intensity of the chocolate and crunch of the nuts keep me coming back. The only bad thing you can about them is that they are addictive. But they also are good for you. The Chocolate covered almonds, pretzels and raisins are great!!! Best Dark Chocolate Almond Clusters EVER!!!! These are by far the BEST dark chocolate almond clusters that I have ever tasted. I have been a customer of David Bradleys for almost 30 years and have yet to find a better dark chocolate. I could really do a commercial for this product. Can't say enough good things. My favorites!!! 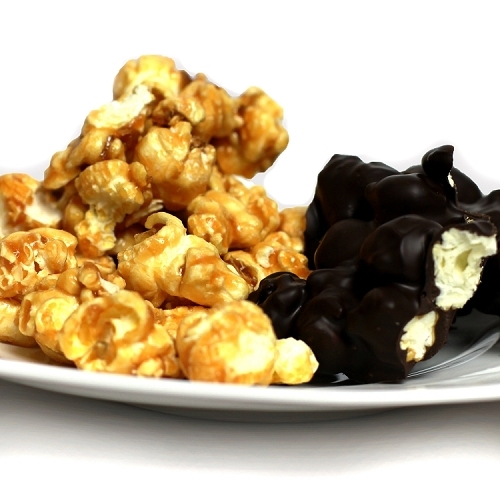 David Bradley Dark Chocolate Almond Clusters are the most savory bits of luscious candy ever. Serve a tray of these with coffee, when company comes to visit. 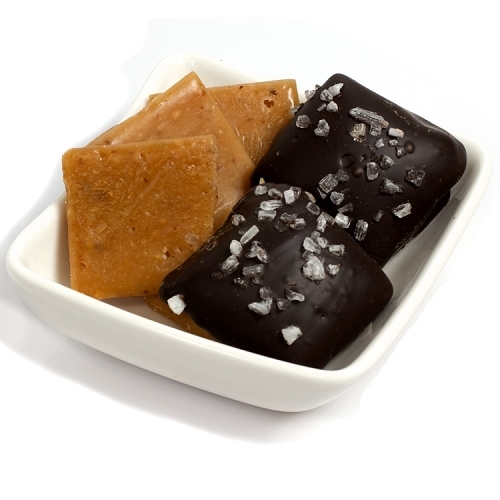 Each candy has about three large almonds and the dark chocolate is smooth and freshly made. Or, just enjoy when you are with your little own lonesome self. They will put a sparkle in your life. Enjoy!